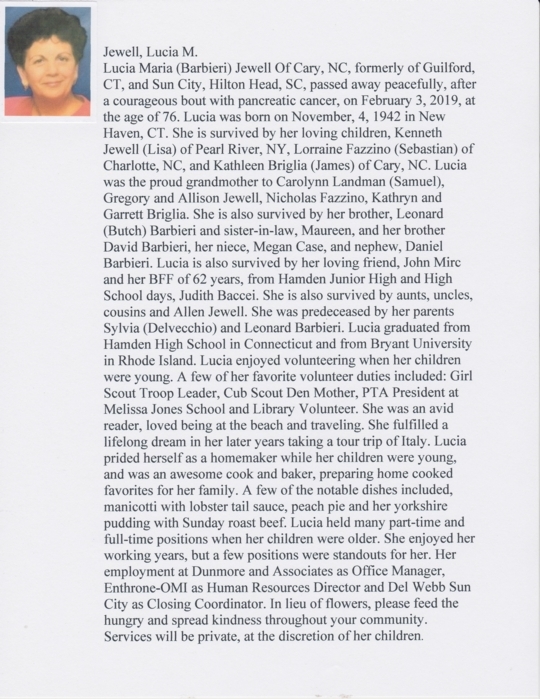 I was so sorry to read of Lucia’s passing. We had kept in touch throughout the years and she was always upbeat and positive about life! I remember her as bring just the same in high school, generous, kind and wise beyond her years. Condolences to her friends and family. I will always think of her warmly and with great affection. This came as such a shock. I am so, so sorry and my heart and prayers go out to her family. She was a wonderful lady and will be missed by all of us.